Having installed thousands of meters of data cable for data networking in almost every imaginable location, we understand the importance of a reliable, well installed data networks. Our data network engineers work to the highest standard. 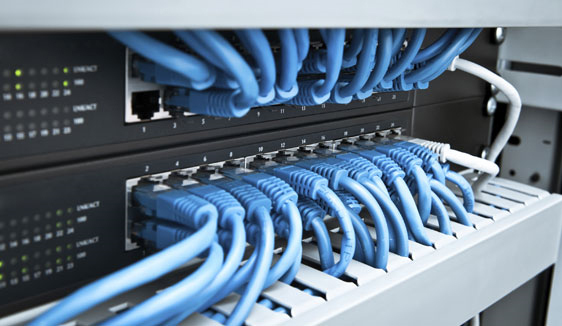 We offer the design, and installation of Cat5e and Cat6 networks. Our electricians have a huge amount of experience in designing and installing both of these cables for data networks. Our installations can be conducted at the best possible time for the client, even after hours. Our electricians are happy to work around your normal business working day so there is minimal disruption and your business is not affected by the data networking installation. Our past projects have ranged from a handful of data points in a domestic house for a home business, through to large scale offices and museums. Whatever size your data network needs to be, big or small, we are the best professional electricians for the job! With every project we carefully plan our installations, right down to the fine details, and we are equally happy to work along side your IT specialist and lay the network to their specifications. If your looking for an answer to any data networking issues you may have, please don’t hesitate to get in touch to see how we can help you, we are happy to do a free of charge site survey to discuss your requirements and plan the best options for your business. If you are looking for a commercial electrician in York or the surrounding area please get in touch.